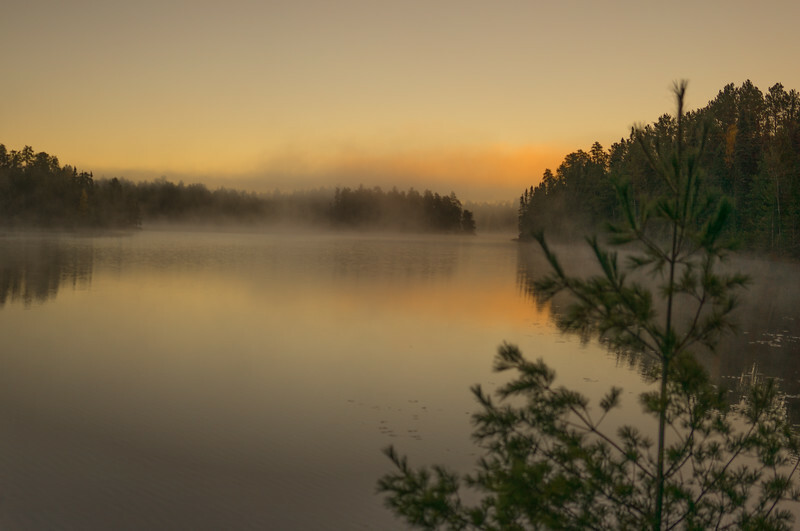 The Sioux Hustler trail is a 32 mile loop in the BWCAW, accessible via the Echo Trail, a dirt road about an hour north and west of Ely, MN. It explores some of the most remote sections of the BWCA which few people ever have the chance to see. Fog in the morning on Pageant Lake.